Uneven regular season concludes | ENTOURAGE BASKETBALL INC.
EntourageBBall Inc. go on a four-game winning streak to end the Crossover League regular season on a positive note. Known in prior seasons for their consistency, the league runners have not been able to provide advance scheduling, or match venues making the 5th Crossover League season an overlong affair. Back in March, Entourage Basketball Inc. coaches had good reason to be optimistic about the upcoming fifth season of the Cross-Over Weekend league, the majority of the 2017 championship-winning roster was back and preseason sessions had been well attended. The league on the other hand had lost access to it’s home of two seasons, SUTD Sports complex, but league manager Daniel Lacson and his partners had scrambled to find a new venue. Sadly their was no consistency this year as teams had to play the season in 3 different locations while enduring multiple weekends without games. Playing the first few games at the Singapore Basketball Center Aljunied, three-time champs E.B.I won the season opener against Average Joes in very convincing fashion. The champions then went on an early-season swoon, losing their next two of four against newcomers LionCity BBall and last season’s other finalist, Monstars. The combined margin of defeat (9 points) and absence of key players during both losses did not lead to panic though. Light’s Out’s Daniel soars to the hoop. A week after the bad loss, the men-in-green avenged their defeat against the same opponents in what was a rare back-to-back matchup with Lights Out. Demonstrating more hustle, improved defense and tactics, team E.B.I won the game 63-48, laying the foundation for a stronger second leg of the season. LionCity Basketball was the newest team in Division 1 of the weekend league and had been unbeaten in the seven games prior to the rematch against EntourageBBall Inc. The tallest team in the league, LCB looked primed to romp through the season, possibly on their way to the Finals. A bittersweet result as the win was the last game in an E.B.I uniform for topscorer (20 PPG) and shooting guard extraordinaire, Jerel. A constant presence on the team the past two years, while helping win three straight titles and being a fantastic teammate, the semi-pro headed back home to the United States for his upcoming nuptials and future endeavours. Owners of a 5-3 record at this point, one more victory would secure Entourage Basketball Inc. a spot in the playoff Final-4. The players made sure of that by winning the last two regular season games (at International Community School’s inadequate gym) against last place teams Kaplan and JustCo. A slight change in the playoffs format has resulted in E.B.I qualifying for the semifinals or Final-Four where the Monstars await as an opponent. The much improved backcourt of that team has carried them all season, and it will be a challenging game. 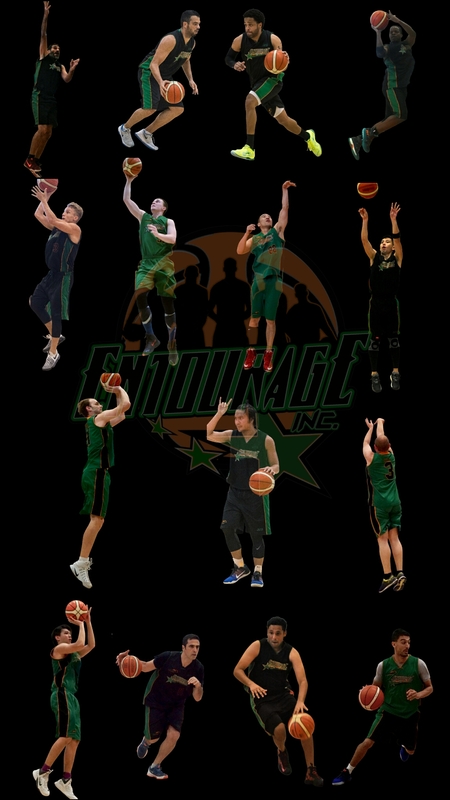 Apart from departed topscorer Jerel, EntourageBBall Inc. will be missing several other key players (JB, Aitor, Javi, Andro, Andre & Roberto!) due to injury or travel. Time for the rest of the squad to step up.